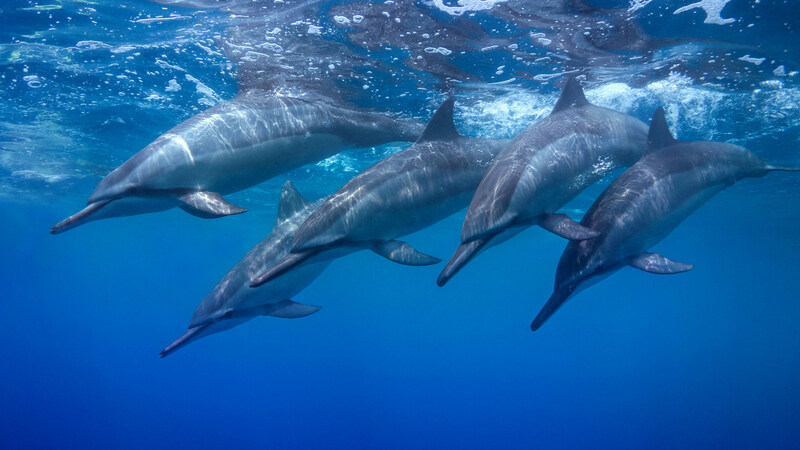 "Aina Malia ~ 5 stars ~ Staying at Aina Malia was an amazing experience, you live by the ocean and we managed to see from the house whales, turtles and manta rays. It's the perfect house to spend time with family during the holidays. We have learned over the years that these rentals are well maintained, equipped and clean. This is definitely not the case with others we have rented from. Kona home on the Big Island of Hawaii! 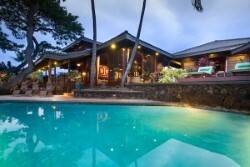 Take a look at our Big Island Vacation Rentals! Hawaii Vacation Rentals on the Kohala Coast of Hawaii hopes to share our Luxury vacation rentals with you and your family on your next Hawaii Vacation. Our Aloha Spirit ,expertise, professionalism, local knowledge and long history here on the Big Island will help you create a dream Hawaii vacation. We want to offer you the experience of a lifetime, whether you want simple accommodations or are dreaming of a luxury ocean front home for your visit to the Big Island! The Island of Hawaii, more commonly known as the Big Island because of the dramatic scope and size is nearly twice the size of all the other Hawaiian Islands combined. You will find all but two of the world's climatic zones within this island's shores. Vacation Rentals on the Big Island of Hawaii! We also offer Maui Luxury homes and condos. We Offer Luxury Vacation Homes, Vintage Beach Cottages, Condos, Town Homes, Executive Homes, and Luxury Estates on all the Hawaiian Islands. We offer unique private Big Island Homes and Condo Vacation Rentals from Kona to Hawi along the majestic Kohala Coast, as well as other remarkable areas of Hawaii. Many of these homes are situated on the same shoreline as several luxury resort hotels including the luxurious Four Seasons at Hualalai, Mauna Lani Resort, Hilton Waikoloa Village, Mauna Kea Resort, Waikoloa Beach Marriott Resort, Kohala Waterfront, Kohala Ranch, Kohala by the Sea and of course the unique ocean front community of Puako and Wailea Bay known as Beach 69 (because the way you used to find it was the telephone pole number 69). These resorts afford you world-class golf and tennis along with excellent shopping, dining and recreational facilities. Most resorts offer tennis and golf to outside guests. The Big Island of Hawai'i, which is bigger than all of the other islands combined, still has the true authentic feel of old Hawaii. Unlike the other more developed islands in the chain, the Big Island feels primordial and wild. This tropical sanctuary is for health-conscious travelers, adventure loving enthusiasts, and romantic traveling, and cultural studies Hawai'i is a favorite. Activities like hiking, kayaking, deep sea fishing, diving and snorkeling play a big part in local life, which is primarily lived outdoors in the warm but trade wind-cooled breezes. 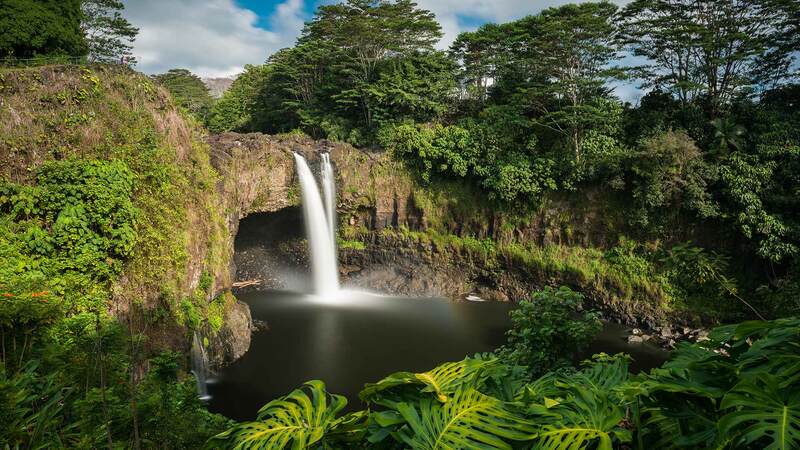 If you're looking for a low-key, outdoorsy holiday in Hawaii, the Big Island is the tropical sanctuary you seek. The translation of Puako is literally "sugar cane blossom" Pua (blossom) and Ko (sugar cane). The area was settled by the Hawaiians, who established several small fishing villages along the coast. Puako has a rich history of petroglyph art. Access to the uako Petroglyphs is easy through the Mauna Lani Resort near Paniau Beach Park at the end of Puako Beach Drive. The Polynesians first spoke of a mystical island paradise to the North called Hawaii or "Hawa'i." 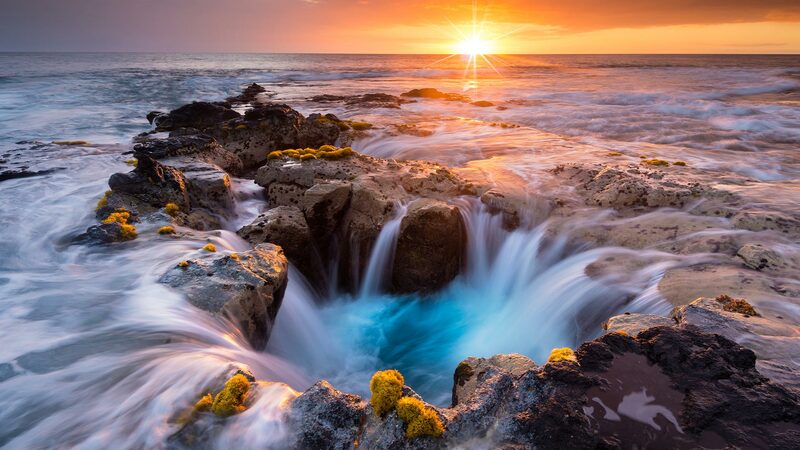 When they finally set foot on Hawaii's Big Island around A.D. 600, they discovered an enormous, lush land mass, with thousand-foot waterfalls, thriving reefs, fertile valleys, and volcanoes exploding with red lava. Hawaii Volcanoes National Park: Home to Kilauea Volcano, one of the world's most active volcanoes. Historic Kailua Village (Kailua-Kona): Lively, historic gathering place in the heart of Kona. Hilo: Home to botanical gardens, waterfalls and off-the-beaten-path local shops and restaurants. Waimea: Experience the cool uplands of paniolo (Hawaiian cowboy) country. Holualoa: Visit coffee country and taste why 100% Kona coffee is so famous. Wedding Photography: Professional wedding photography from Sarah Anderson. 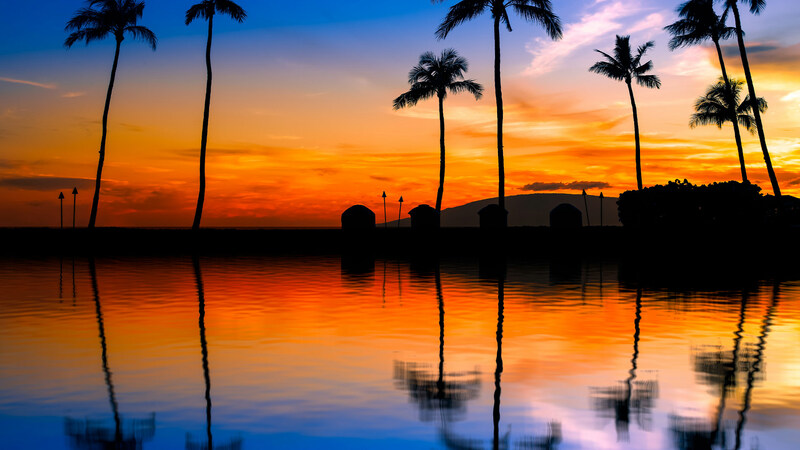 Major resort destinations on Hawaii Island include the Kohala Coast area, Historic Kailua Village (Kailua-Kona) and Keauhou, both in Kona. There are also hotels and accommodations in Hilo and Puna on the east side. We are members of the Hawaii Visitor's Bureau and some of this information has been provided by them.